Public spending on education was 6.4 per cent of GDP in 2010. 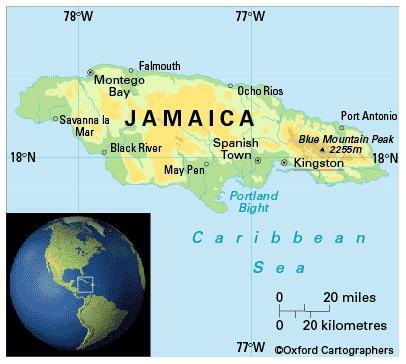 The Ministry of Education and Youth is responsible for lifelong education and training in Jamaica and co-ordinates provision between the government, donors, non-governmental organisations (NGOs) and local communities. Examinations and certification at secondary and post-secondary level is regulated by the Caribbean Examinations Council, to which 15 English-speaking Commonwealth Caribbean countries belong. For post-secondary qualifications, the Caribbean Advanced Proficiency Examinations are available for those wishing to gain expertise in the work environment as well as for those wishing to pursue conventional tertiary education. The University Council of Jamaica is a statutory body that provides accreditation of programmes offered by tertiary institutions in the country. There are six years of compulsory education starting at the age of six. Primary school comprises six years and secondary five. Some 81.9 per cent of pupils complete primary school (2010). The school year starts in September. The regional University of the West Indies (UWI, established in 1946) has its principal campus at Mona, near Kingston, and other main campuses in Barbados, and Trinidad and Tobago. The Norman Manley Law School (1973) is located on the Mona campus of UWI. Some 50 other tertiary institutions – public and private -registered with the University Council of Jamaica in 2011 include the Management Institute for National Development; University of Technology; College of Agriculture, Science and Education; Edna Manley College of the Visual and Performing Arts; G C Foster College of Physical Education and Sports; Knox Community College; and Northern Caribbean University (owned by the Seventh Day Adventists, located in Mandeville, a university since 1999). The female-male ratio for gross enrolment in tertiary education is 2.1:1 (2012). Literacy among people aged 15-24 is 95.9 per cent (2012).